© 2009  364 pp. Andy O'Hara, a post-doctoral researcher in a London cancer research institute, agrees to help an attractive colleague, Gina, who is collaborating with a pharmaceutical company. She is working on a virus-based vaccine but has discovered the company is planning a clinical trial of the vaccine in Africa without preliminary animal tests. Andy gets a tip-off that Gina's corporate collaborator has a shady past, but also discovers a scientific reason why the vaccine may be doomed to failure. As this excerpt begins, Andy and his friend Christine have helped Gina set up an illicit mouse experiment in their own animal facility, a move that could end all their careers if discovered. Jennifer Rohn is famous for promoting the idea that we need more fiction with realistic scientists in leading roles, via her website lablit.com, and other outlets including Nature. 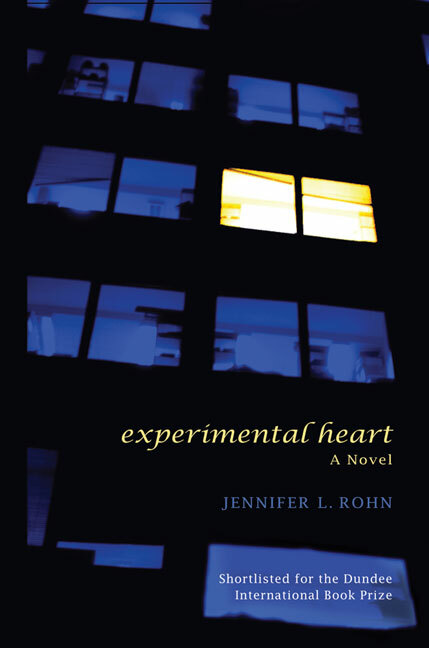 In an effort to practice what she preaches, she has written a couple of lablit novels herself, of which Experimental Heart is the debut effort. To me, as someone who has grown up, lived, and worked in the science culture that this story is set in, the whole thing feels completely like homesometimes even too close for comfort. The lab part aside, the lit part is also very nicely done, written fluently and convincingly, though not letting the style get in the way of the science. The plot is driven by an intrigue worthy of Dan Brown, with countless twists and turns and cleverly revealed clues. But at its heart this is not primarily a book about science, or evil machinations. It is a love story. Fast-paced, but with absorbing detail and wittily observed; from the first chance encounter to the dare-devil denouement it is the uncertainties of human emotion that provide the imperative to read on. The title, along with the synopsis, might suggest a Mills and Boon epic, but in reality this novel is intriguing throughout. A mixture of all the well-loved aspects of a research laboratory (including dry ice bombs and darkroom encounters) together with the intricacies of the male–female interpretation of chemistry and a smattering of intense thriller.